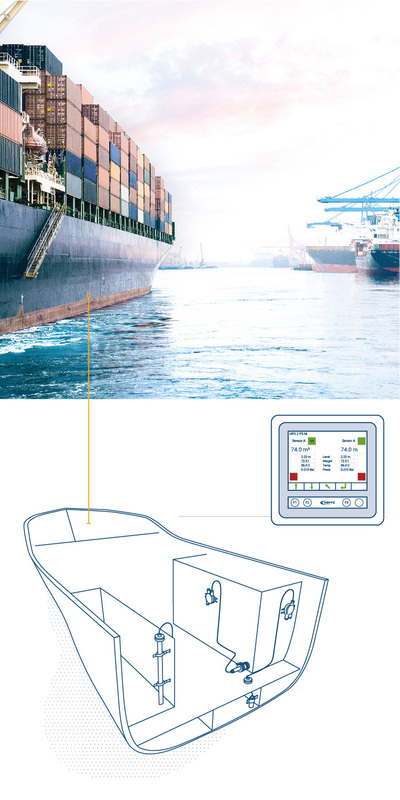 Hoppe Marine Tank Content Measurement solutions continuously monitor the contents of ballast, fuel oil and other liquids on board, with various sensor types. The hydrostatic pressure sensors HCG 2011 and HCG 4011 have been specially developed to detect the levels of wide range of liquids with different media properties. The pressure sensors of the HCG series can be configured to the required measuring range, housing material and process adaptor. They are based on a piezo resistive measuring cell, which converts the hydrostatic pressure into an electronic signal. Measurement with pressure sensors is independent of foaming (cappuccino effect). The pressure sensor HCG 2011 provides a signal of 4 – 20 mA and allows customised measuring ranges, adjustable via HART protocol. The pressure sensor HCG 4011 is designed with a digital serial BUS interface, which allows cost saving cable loop installations. The electro pneumatic pressure sensors are installed inside control cabinets and measure the liquid level via a system of continuously bubbling air. The measuring unit is fully equipped with all necessary features of air flow indication, air flow adjustment, purge function as well as stop and safety valves in order to protect the measuring cell against liquid ingress. Brochure – Fluid Management Fact Sheet – Tank Content Measurement Why Tank Content Measurement?